Myanmar called for calm on Monday after 13 people were confirmed to have contracted H1N1 influenza and a boy had died with flu-like symptoms, raising fears of a new outbreak of a virus. The ministry said another 10 people in Matupiin the remote northwestern state of Chin that borders Indiahad caught the virus this month. A 6-year-old boy also died in Matupi with severe respiratory problems suspected to have been caused by H1N1, Dr Win Lwin, director of the Yangon regional health department, told reporters. In 2009, the viruswhich affects young people more frequently than other types of fluspread to most countries in the world. At least 66 people contracted it in Myanmar, according to official comments carried by media at the time. Dr Than Tun Aung, deputy director general at the ministry’s infectious diseases department, told Reuters the government had no vaccines for H1N1 and was at a loss for effective treatments. 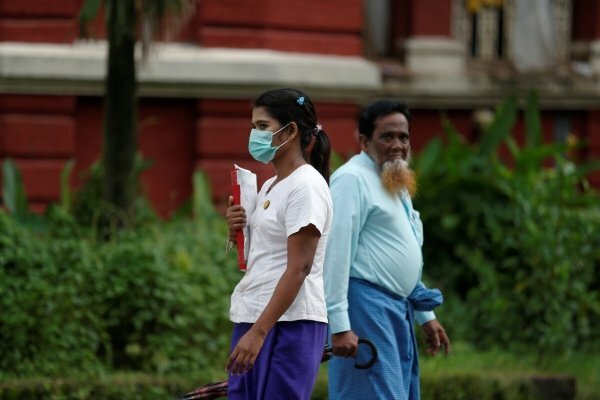 Dr Aye Ko Ko, chief physician at Yangon general Hospital, told Reuters earlier that two of the patients in Yangon were being treated for suspected H1N1 infections in a special ward at the hospital.